A small gift for friends, acquaintances and colleagues. Our own stylish and nostalgic styled metal tins are an appropriate gift at any time. 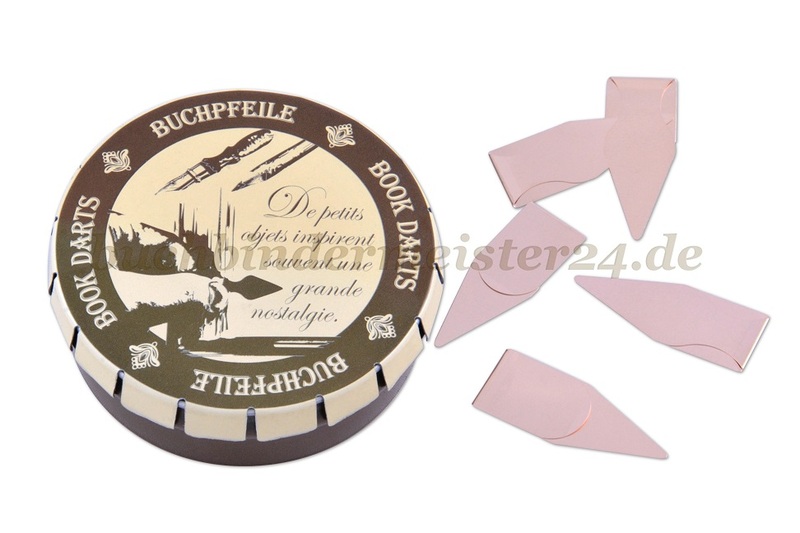 They are filled with paper clips, self-adhesive or magnetic pen holders or with Bookdarts the extra-high-quality bookmarks. So also order it directly together with your other articles.